Nominate Someone for the IHS Wall of Fame! The Indiana Area Senior High School Wall of Fame is a way for the school to recognize distinguished alumni who graduated from the Indiana Area Senior High School and made a positive impact on the Indiana community, the community in which they reside, or distinguished themselves in their respected careers. 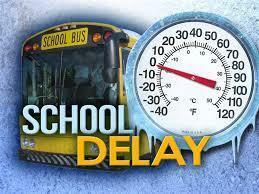 IASD will be operating on a 2-hour delay for Friday, November 16th. IASD will be closed due to inclement weather on Thursday, November 15, 2018. IASD is looking for interested parents, community, and business partners to review the 2019-2022 comprehensive plan. If interested, please email Bob Rizzo at rrizzo@iasd.cc. The IJHS Forensics Team once again placed in all seven categories at the final tournament of this season’s Five County Junior High Forensics League .